As a wedding planner I spend much of my time searching and scouting all of the best restaurants as well as venues when I plan a wedding. 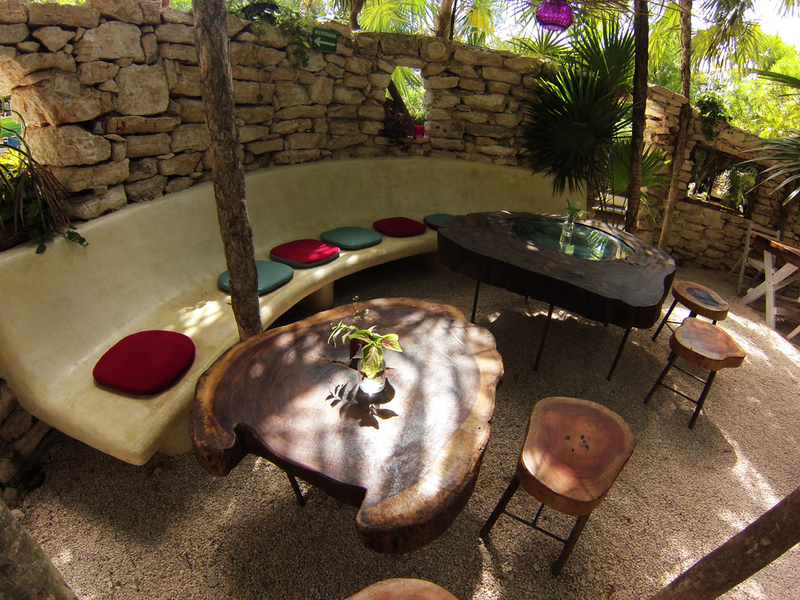 One of my dearest friends is now running an amazing new restaurant in the heart of Tulum, Mexico, which I am happy to share here! It is excellent for a dinner rehearsal, brunch the morning after, or anytime! 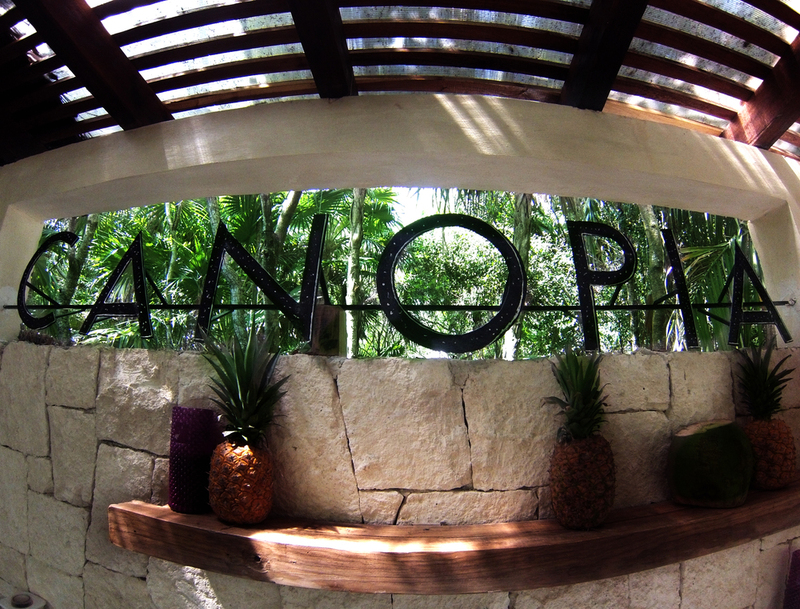 Canopia is a fairly new concept on the road to that leads to all the boutique hotels and restaurants by the beach. It is a place that, from its inception, was created with nature in mind. From the thick tree canopy (where the restaurant gets its name from), to the limestone wall that envelops the property, to the natural local wood accents on the tables, kitchen and bar. Amidst the tables settled on limestone pebbles soil, there are trees that intersect and come out straight from the restaurant floor, giving the impression that you are in the thickness of the jungle. Based on the concept of our green surroundings, we developed our menus with a philosophy of balance and the use of the most natural, freshest ingredients. For daily brunch, there's a chia pudding and bircher muesli right next to organic framers eggs and local Yucatan dishes such as huevos motuleños. Our juice and smoothies menu is extensive and diverse, made with local and seasonal ingredients. 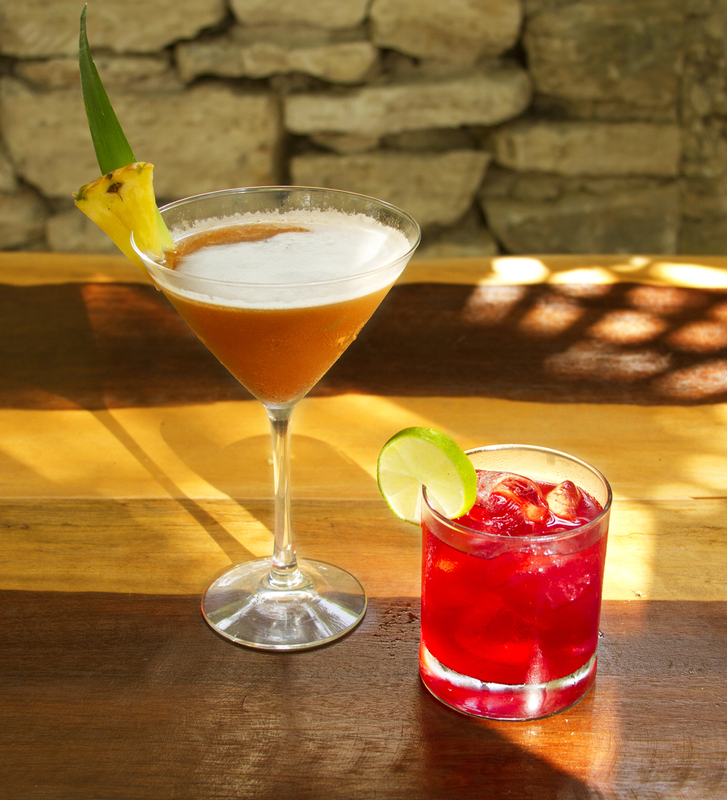 For dinner we serve mexican craf beer, organic wine and mezcal, fresh squeezed juices in lieu of sodas, organic local cornish hen, oven roasted catch of the day and several other dishes that are vegan, vegetarian and gluten free. The cooking styles and influences are very eclectic and international, thai curries share room with chana masala and local achiote. We cook all of our dishes either grilled, broiled or with avocado oil, coconut oil, extra virgin olive oil and ghee. 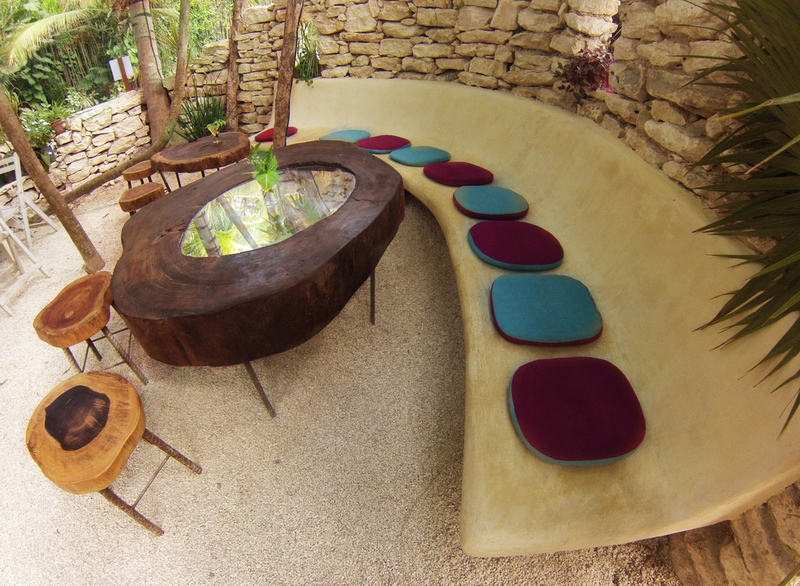 Canopia is a unique concept in Tulum, the menu changes with the seasons and the dishes are healthy and well balance, along with a harmonious blend of nature and minimalistic modernity. A while back I wrote a guest post about finding locations for your destination wedding. Today, I came across it again and it made me feel a bit nostalgic. So, here it is again for your viewing pleasure!